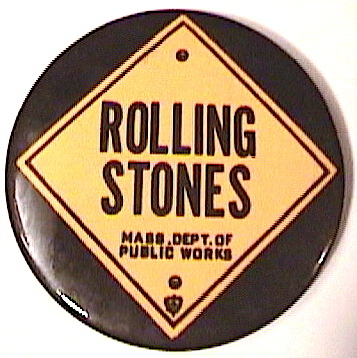 Here is a quick story about the 1969 Rolling Stones Tour. I was working for the CMU Computer Science Department in Porter Hall and living with two engineers Bob Nickau and Roland Findlay. We knew Chris Langhart from the CMU radio station WRCT and when he was picked to do the sound for the Stones tour he called on Bob to handle the amplifiers because they were using solid state amplifiers for the first time. Five days into the tour, Bob called and asked me to join the crew. He said there was a ticket for me to Phoenix at the airport for the next morning and to travel light because I was carrying the oscilloscope. Since the banks were already closed, Roland opened the Porter Hall Coke machine and lent me a few rolls of quarters for spending money. I packed my things in my attache case and left for a really fun tour. The night I arrived the Stage Manager told me he was leaving the tour to work for Country Joe and the Fish and I would be in charge of the stage miking. That was my total apprenticeship for the tour. Chuck Berry and Ike and Tina Turner were also on the show. We got very little sleep because there was only one sound crew and a new concert in a different state each night. I didn’t care, this was the tour of a lifetime. The button in the photo was our back stage pass.